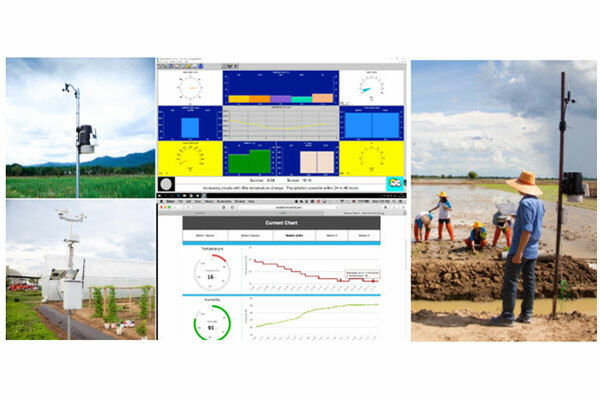 Smart Farming is the application of crop field monitoring technology, including temperature and moisture in the soil and in the air, light intensity, wind speed and direction, air pressure, and bring this information to farmers so that they can analyze the correlation between the amount of resources used in farming and agricultural production. Farmers can use this information to make agriculture plan and improve farming methods in order to obtain maximum efficiency. Farmers can access to these information from anywhere via computer or smart phone. The historical data can lead to the relationship between various information and agriculture production. By applying the field sensor technology, farmers can make agriculture more accurate and precise, reduce costs and increase productivity.